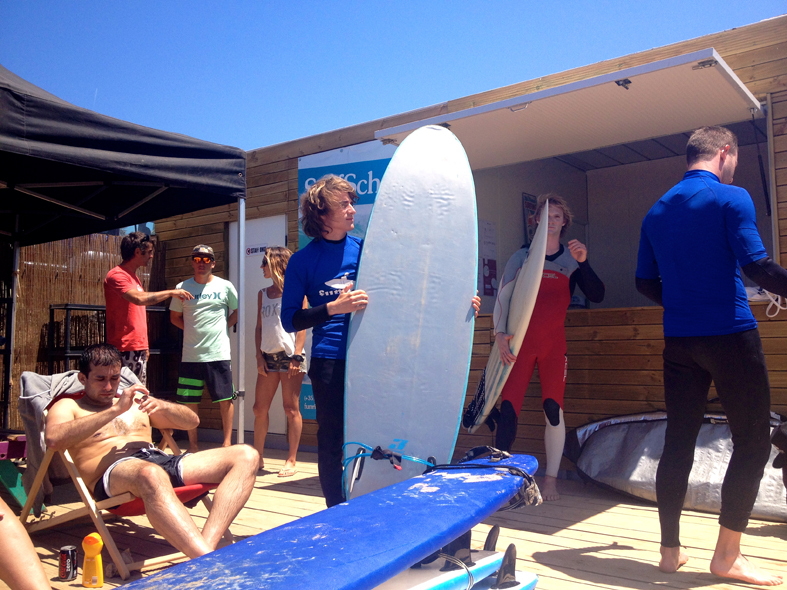 Incredible conditions all year round at Raposeira Surf Camp & Surf School! Perfect place for surf lessons, offering easy access to the beach and to the best surf spots in Algarve such as Praia do Amado. Choose from bungalows, private rooms or hostel accommodation! 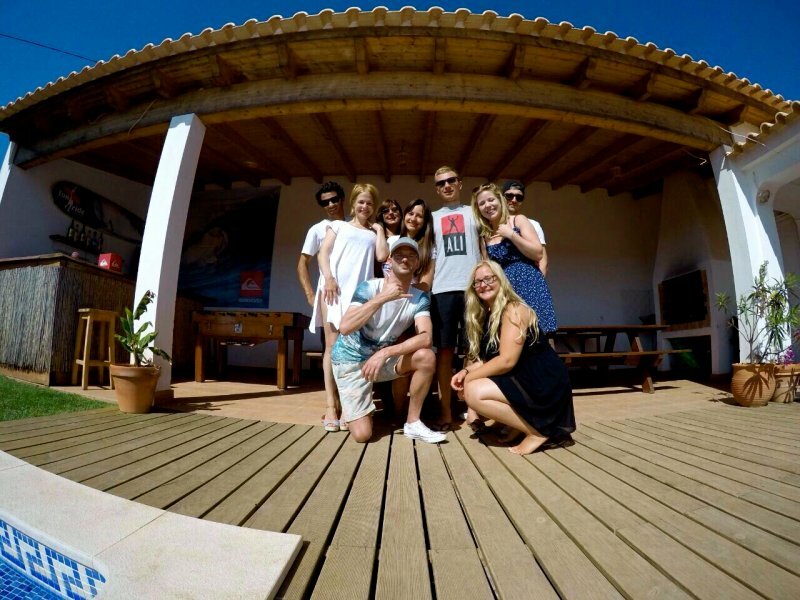 The ideal surf camp for great surf holidays in Algarve among friends, couples or family! 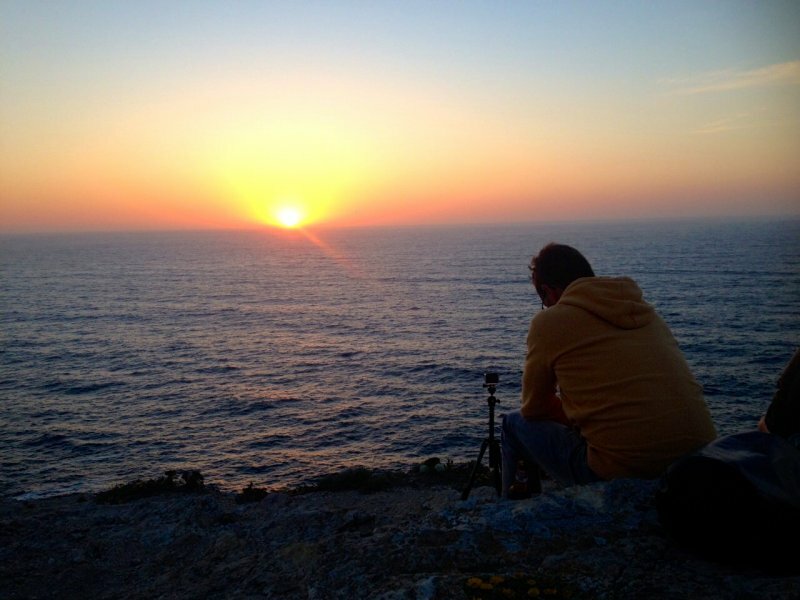 1 day transfer to Cabo São Vicente (Sagres) to see the sunset. From May to September, check-in only on Saturday! Algarve is one of the best destinations to surf in Portugal offering surf all year round with hot summers and mild winters. Waves in Algarve are less crowded than in Ericeira or Peniche however it's not fair to say that surf in Algarve is less attractive. The region of Algarve offers two surf zones: the south coast with surf spots between Sagres and as far as Tavira goes, and the west coast with surf spots facing straight the Atlantic Ocean from Sagres to Aljezur. The south and west exposure to the Atlantic Ocean makes Algarve a perfect surf destination to surf all year round with consistent waves and a fantastic weather. Algarve's west coast works best with northwest swells and East / Southeast winds. Its beautiful and untouched beaches are protected by the Natural Park of Costa Vicentina with a few small fishermen's villages like Vila Do Bispo just 10 minutes away from Amado beach and the city of Sagres. 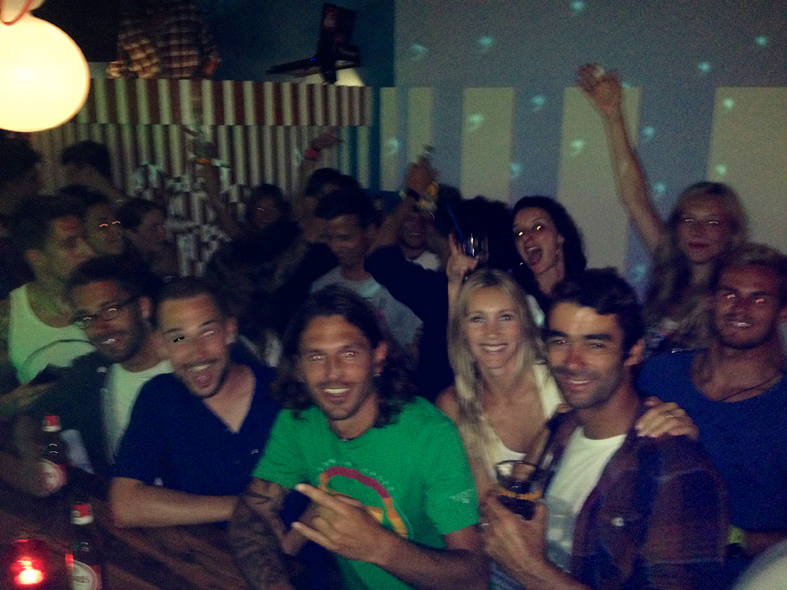 Here you’ll have the best combination of surfing and night life! Algarve's West coast is an option all year round but especially during the summer offering warmer waters and glassy surfing days. This is also where the most powerful waves of Algarve are located and thus the surf culture is more vibrant. The Western coast of Algarve is an ecologically protected area and one of the few remaining wild and not crowded coasts in Europe with no real estate resorts on sight. The south coast often offers smaller size waves picking up with south Atlantic swells. The southern part of Algarve is also more developed so you will have to deal with the tourist factor which is why the south coast is better for surf during the winter season when there is less tourism and better swell direction. Sagres and Lagos are probably the most popular surf towns of Algarve and specially indicated for young surfers looking also for some side action. 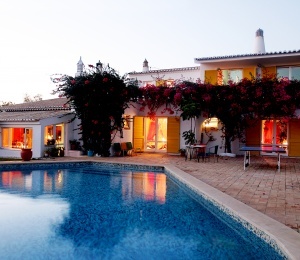 For families and couples you will probably find more relaxing small villages like Carrapateira, Amado and Arrifana. 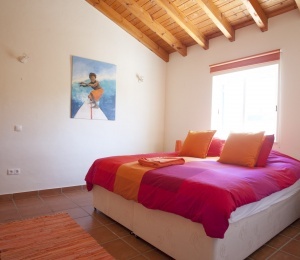 Raposeira Surf Camp & Surf School is in the middle of it all, offering 3 types of accommodation: shared rooms similar to hostels, and private double rooms and double bungalows. 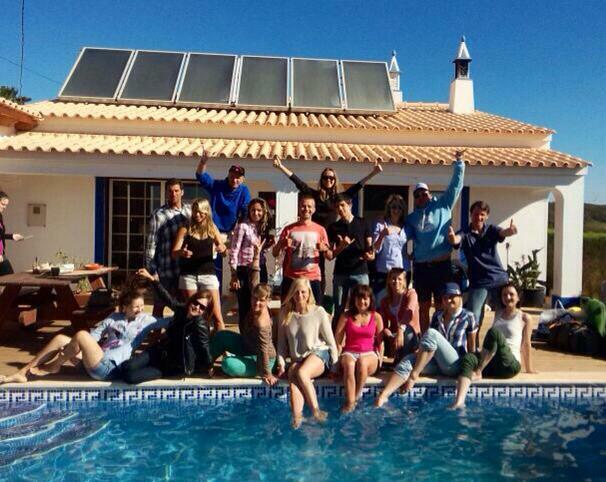 The surf camp and surf school are open all year round offering unforgettable surf holidays in Algarve. This particular part of Algarve is also well known for its outdoor activities, like sky diving, paragliding, diving, horse riding, and mountain biking. 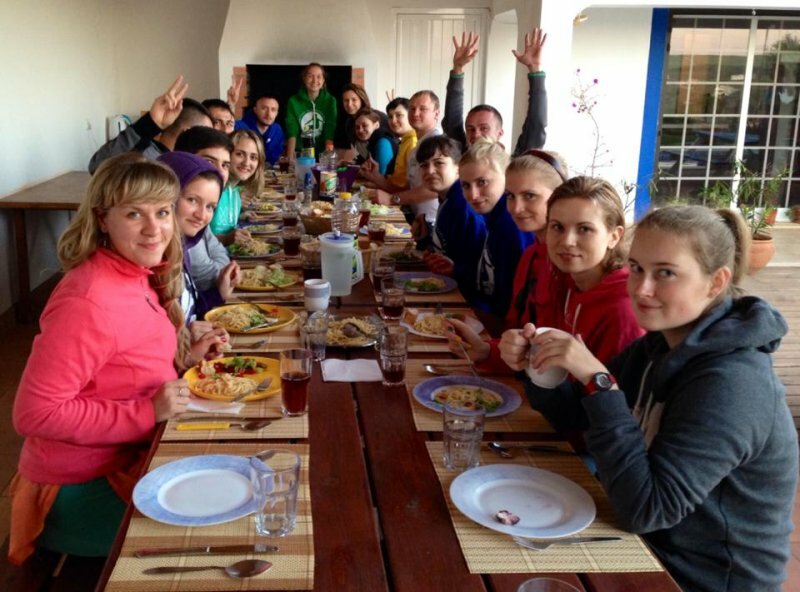 The weather is so good that you do not feel like spending time in your bedroom so if the swell is not really helping you can always find a lot to do and the staff at our surf camp and surf school will help you out. Feel free to include some of these activities on your package and make it the perfect combo for your surf trip in Portugal! Just a few minutes away from beach and the Raposeira Surf Camp & Surf School you will find a wide range of amazing landscapes to explore from unpopulated wide sandy beaches leading up to sudden cliffs and picturesque old villages. Its natural beauty, the pleasant Mediterranean climate and the excellent surf conditions all year round, make Algarve the most desirable place for surf holidays in Portugal. 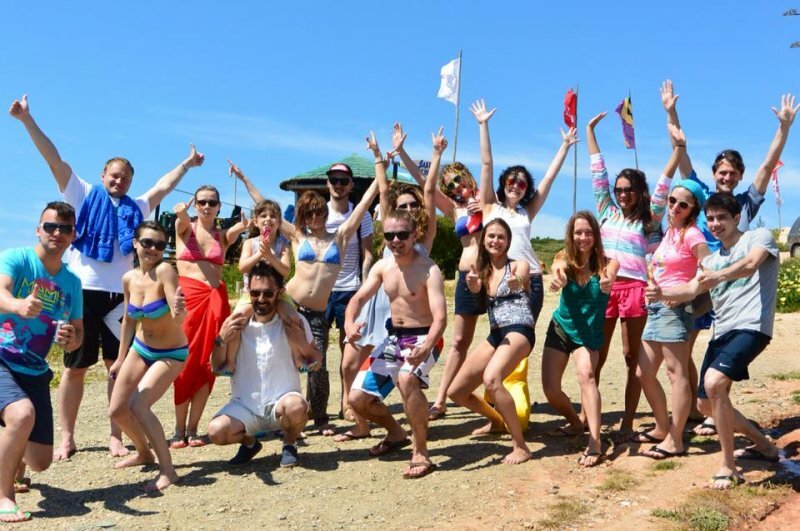 Raposeira Surf Camp & Surf School is located on beautiful countryside scenery making this surf camp and the surf school one of the most desirable places for your surf vacations in Portugal! 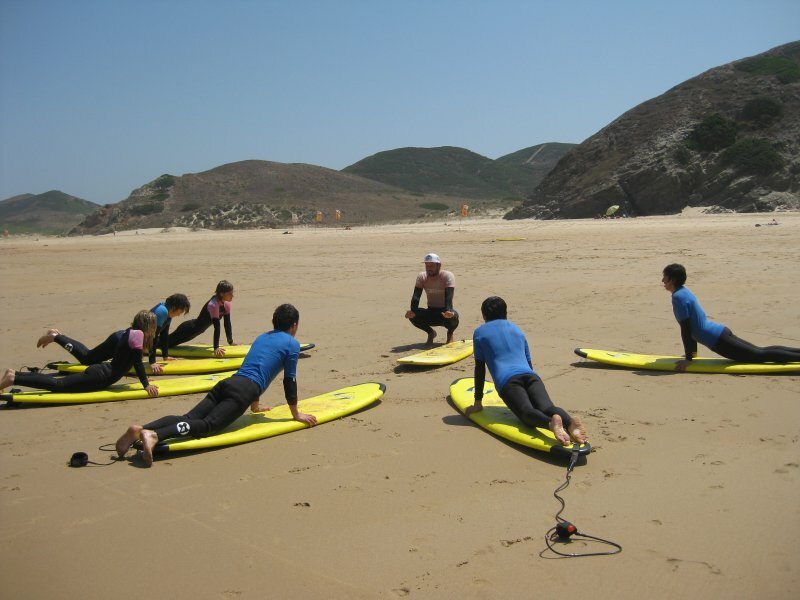 The camp and surf school are perfectly located just a few minutes from Sagres, Lagos and Amado, in the middle of the wild scenery of the Costa Vicentina Natural Park. The natural park has been protecting the local environment and traditions from the development of tourism which associated to the surf culture of places like Sagres and Lagos makes the surroundings of the surf camp just perfect. 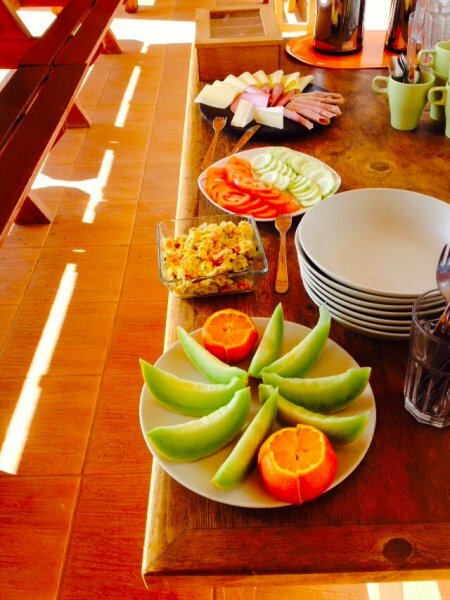 The surf camp was developed embracing the best environmental standards using a lot of wood and recycled materials, yet keeping all the comfort you require in your surf holidays in Algarve. 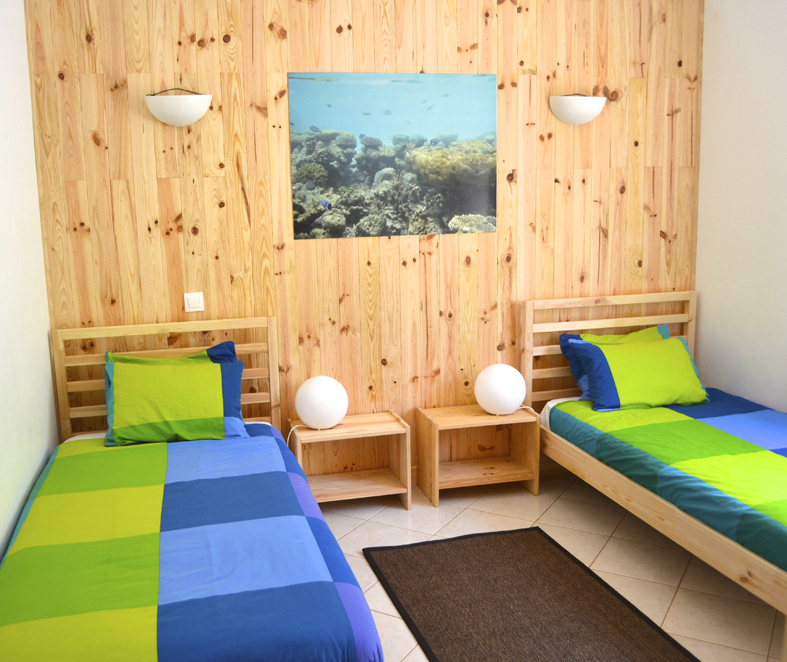 The Surf House has four hostel type shared rooms and three double bungalows. 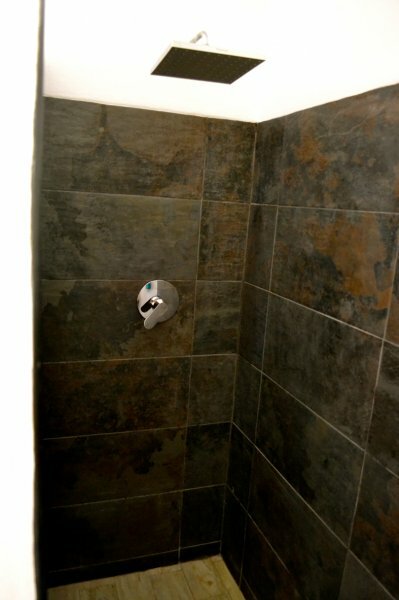 All rooms and bungalows have private bathroom and you will have free access to all common areas of the surf camp, barbecue, fully equipped kitchen and Wi-Fi. 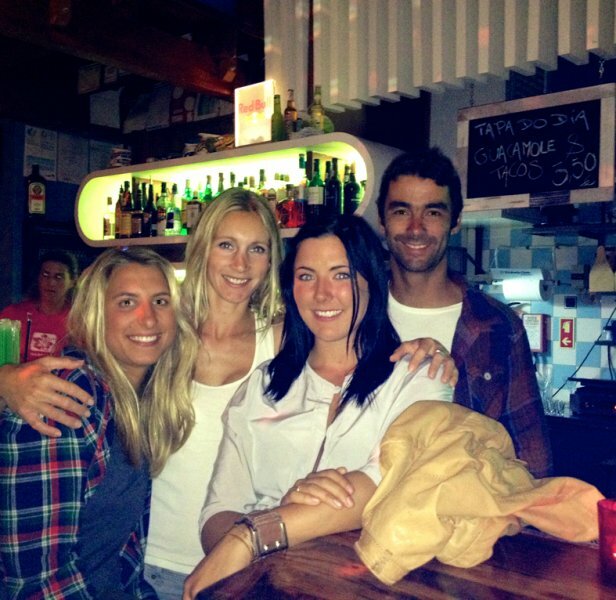 At the surf camp the local staff is the friendliest you can get and will assist you in everything. Things like meals, beach preferences and night life will be arranged according to your preferences. Prepare yourself for first class barbecues. What else do you need for the ideal surf trip? 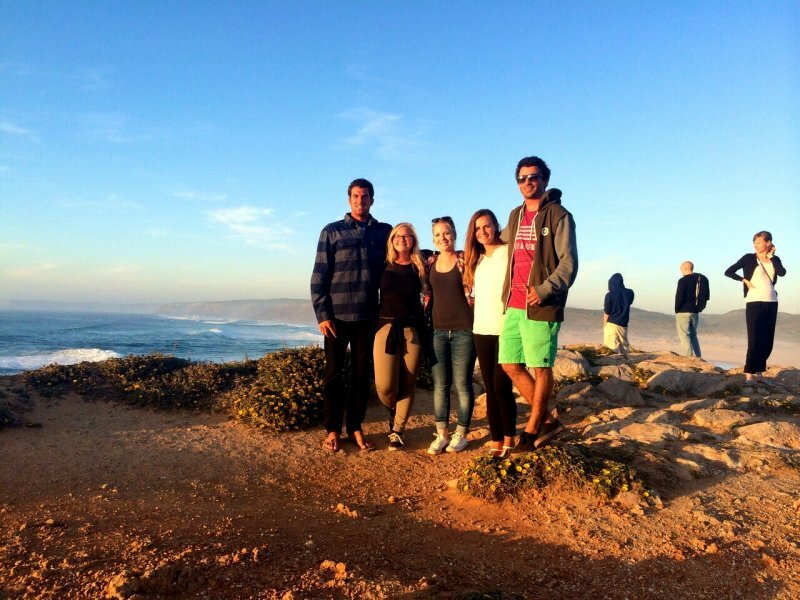 Raposeira Surf Camp & Surf School is only 10 minutes away from the West coast and 5 minutes from the South coast so you will have many surf breaks around. There is a great choice of waves working with different swell directions and wind conditions. There are more than 60 surf spots in Algarve with the majority of the surf spots being beach breaks and sand bars such as Praia do Amado. You will also find some point breaks requiring more experience surfers such as the north corner of Arrifana beach (also known as Kangaroo), Praia do Barranco and Zavial. 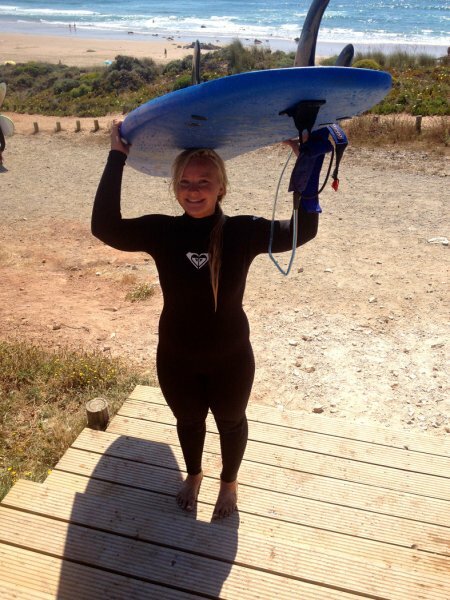 No matter your surf skills, you will have an amazing surf trip to Algarve and Portugal! One of the most popular beaches and surf spots in Algarve is Amado beach where many surf schools are based and teach their surf lessons in Algarve. 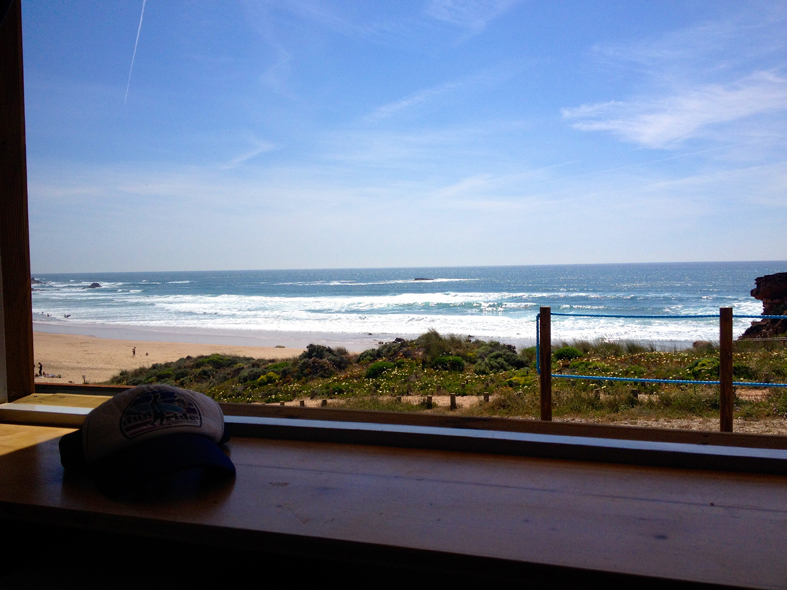 This large sandy beach surrounded by mountains it's one of the best surf spots in Portugal around and the surf school certified instructors know exactly the place to go each day to take advantage of each surfing session. If you're looking for real adventure during your surf trip to Algarve there are daily guided tours to the best spots for the experienced - surfari packages. These packages are recommended for experienced surfers who know what they want and search for local knowledge of the swell, tides, winds and beach breaks willing to lead them directly to their perfect wave. Here you can challenge yourself on the best waves of Algarve! Algarve's Western coast is one of the best surfing destinations in Portugal for experienced surfers from all around the world and well known for its consistency. The cool surf spirit, specially flowing during the summer months on this remote part of Europe gives you the genuine taste of surfing lifestyle. You will find this spirit everywhere you go to, especially in the surf towns of Lagos and Sagres where the surf culture of Algarve is more present. If you are worried what type of wetsuit to bring to Algarve, then the most flexible option would be a 3:2 full suit that can hold you down the entire year, however during the summer months (July and September) you may prefer a shorty when the water reaches +22' C. However, you do not need to worry about what surf gear to bring to Algarve because you can rent whatever you need at our surf camp and surf school from wetsuits to surf boards. Another option that you may find suitable is to visit one of the many surf shops in Lagos and Sagres, and get a good deal on a brand new or second hand surf board and other surf equipment. Algarve is for sure recommended as a laid back region attracting an ever increasing number of foreign surfers escaping from the winters of Northern Europe. 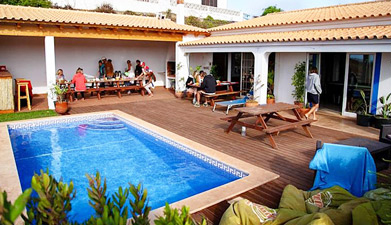 Come and see for yourself what makes this place the most desirable place for surf holidays in Portugal. SURFINN © 24-04-2019 04:40:47. ALL RIGHTS RESERVED.